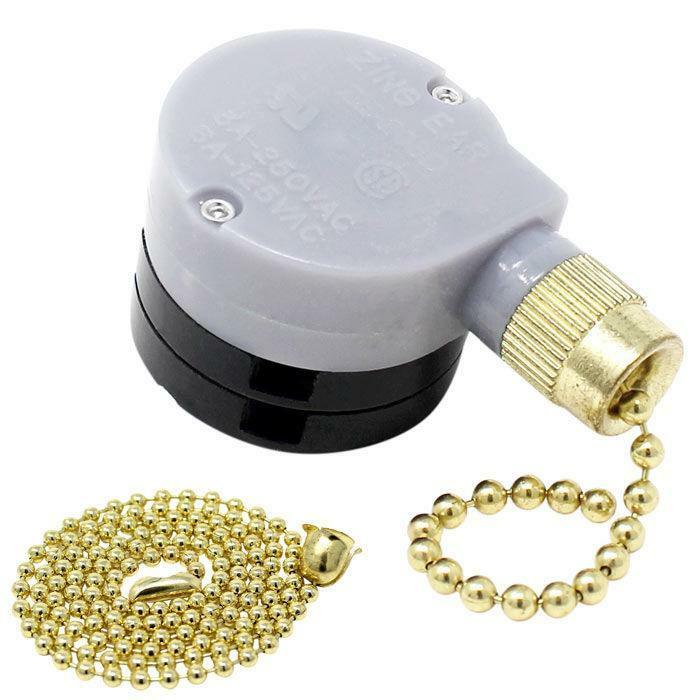 The Zing Ear ZE-208D 3 speed fan control switch activates ceiling fan by gently tugging the attached pull chain. This 5 wire fan switch designed for 5-8 wire installations. It is easy to install and highly recommended for quick and easy ceiling fan repair. Available in Brass and Nickel finish. 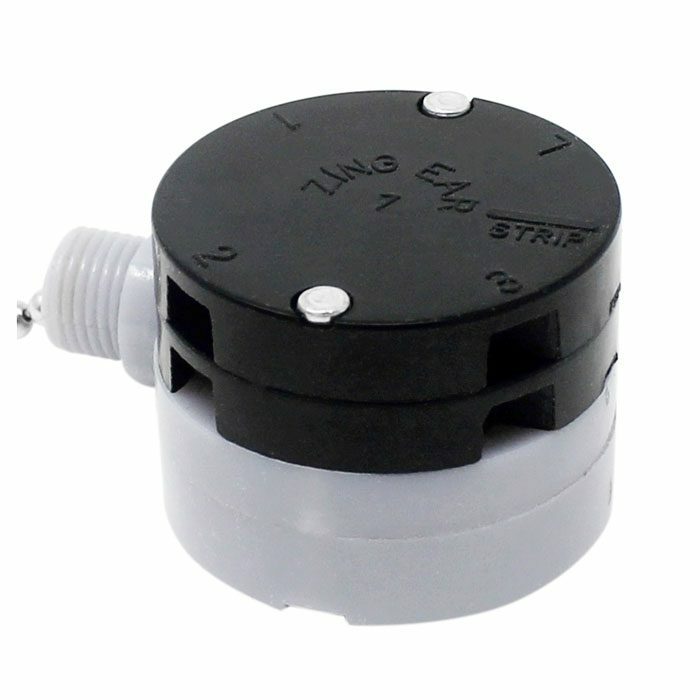 Note: Zing Ear ZE-208D is a perfect replacement for many models including Jin You E70469, Santa E70469, Westinghouse 77020, Harbor Breeze 0033906, Satco 90-690 and Gardner Bender GSW-34. 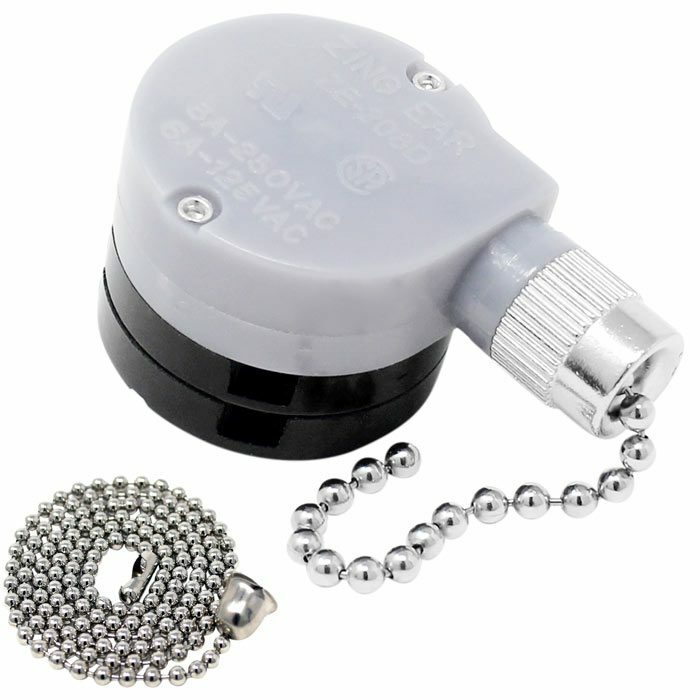 The Zing ZE-208D activates fan speed by gently tugging the attached ball chain. 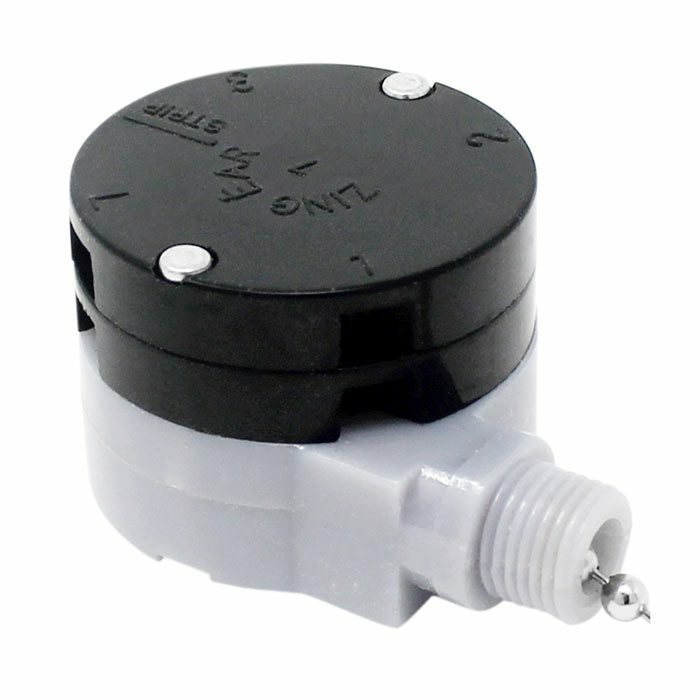 This rotary control fan switch provides 3-speed settings and will secure in fan light kit using attached screw-in nut. This 3 speed 5 wire capacitor fan switch can handle 6A at 125VAC or 3A at 250VAC. It is also UL approved, therefore, it can be safely installed in any ceiling fan in the United States and Canada.